GOTHAM’s Oswald Cobblepot has scored his biggest victory to date at the end of season 1: his mentor-turned-enemy Fish is (seemingly) dead. Since there are new villains heading to GOTHAM in season 2, the struggle for power will likely get a bit more complicated than Oswald anticipated. As GOTHAM’s first season nears its end (there are two episodes left this year), things are getting increasingly crazy for the Penguin. 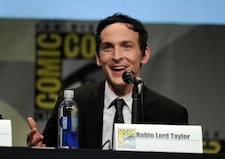 But as he makes his power play, his portrayer, Robin Lord Taylor, is just thankful for how “validating” the reception has been to his character. 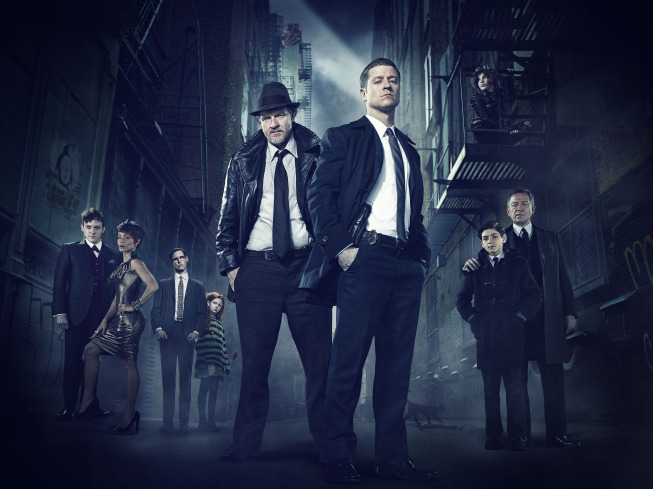 GOTHAM has been off the air for over a month, but the Fox series returns tonight with the final four episodes of the show’s first season in a row. In tonight’s hour, Jim and Harvey look into the case of the Ogre, a serial killer who targets young women…and those closest to the people who investigate the killings. GOTHAM is undergoing a change of power. Fish took a big risk by “kidnapping” Liza, a woman Falcone was very fond of (whom Fish had planted in Falcone’s life). Unfortunately for her, Penguin informed Falcone it was all a ruse, and Fish’s life is now in danger…and Penguin suddenly has more power than ever. GOTHAM scored an early renewal over the weekend at Fox’s winter TCA session, and while the freshman hit was never really in danger, the show’s stars were delighted to get the official word they’d be returning for a second season. At the end of the GOTHAM pilot, Jim Gordon seemingly killed Oswald…but Gordon, Oswald, and the viewers know that Gordon couldn’t go through with it and only warned the man never to return before he pushed Oswald into the river. But of course, Oswald couldn’t stay away from Gotham. GOTHAM is not only the origin story of Ben McKenzie’s James Gordon — the series is also diving into how the infamous villains developed. Two of the iconic “bad guys” that GOTHAM introduces in tonight’s pilot are Oswald Cobblepot (AKA The Penguin) and Edward Nygma (AKA the future Riddler). And while they are in different stages of their villainous evolution, there are some fun nods to what’s in store for them in GOTHAM’s opening hour. Comic-Con is just around the corner, and one of the biggest scheduled events is the Saturday night DC/Warner Bros. mega-panel…which includes the only screening of the new Fox drama, GOTHAM. Today’s GOTHAM character tease from Fox? The Penguin! Check out a photo of Taylor as The Penguin!